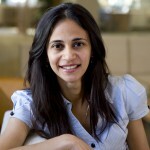 Surabi Menon is the Advisory and Research Director at ClimateWorks. Her work supports climate philanthropy by providing a global context for climate mitigation and climate policy progress, identifying high-impact investment opportunities, supporting energy transitions that lead to a low carbon pathway and working on frameworks to identify the developmental and economic benefits associated with reducing climate pollution. Dr. Menon is a charter member of the U.S. EPA’s Science Advisory Board and sits on the Board of the Institute for Industrial Productivity and the Global Buildings Performance Network. She has published over sixty peer-reviewed publications, and co-authored the 2007 IPCC report that led to a Nobel Peace Prize. She also started an environmental NGO in India in 2008. Dr. Menon has over 16 years of professional experience in the climate change field. Before joining ClimateWorks in 2012, Dr. Menon was a staff scientist and the leader of the Heat Island Group at Lawrence Berkeley National Laboratory in California. Prior to that, she was a climate scientist at Columbia University and NASA Goddard Institute for Space Studies in New York. She has a Ph.D. in Atmospheric Science, and an MBA in Sustainable Management.